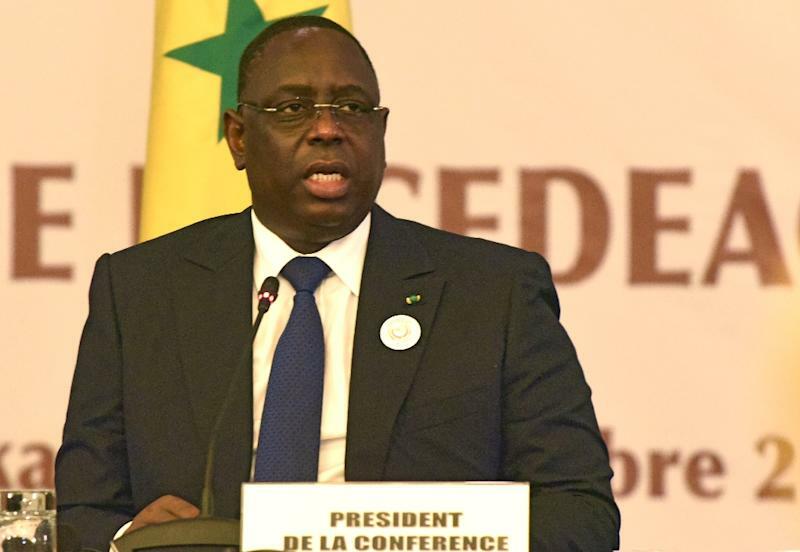 Dakar (AFP) - Senegal's President Macky Sall has called for African countries to promote a "tolerant Islam" and share intelligence to combat jihadist groups, while acknowledging recent arrests of preachers. "We must develop a philosophical and theological discourse, training imams with a sense of a tolerant Islam," he said, speaking late Monday at the Dakar International Forum on Peace and Security in the Senegalese capital. "We have just arrested imams in Senegal, a few of them," the president added, warning against any political exploitation of events in the national media, which reported that five people have been charged and taken into custody, including two women. "We cannot allow them to impose another form of religion" with practices that "do not correspond to our traditions or our conceptions of Islam", he said, citing any obligation to wear the full Islamic veil as an example of extremism. "We must have the courage to fight this excessive form" of Islam, Sall added. Senegal is a secular state in west Africa where more than 92 percent of an estimated population of 14 million are Muslims. The president's remarks echoed those made by French Defence Minister Jean-Yves Le Drian, who also called for the promotion of moderate interpretations of Islam and for radical Islamist propaganda over social media to be fought. Sall also pushed for better intelligence sharing between the countries of the Sahel on the southern edge of the Sahara in an effort to combat armed jihadist groups that operate across borders.